“For centuries, the politics of Western nations have been characterized by a struggle between two antithetical vision of world order: an order of free and independent nations, each pursuing the political good in accordance with its own traditions and understanding; and an order of peoples united under a single regime of law, promulgated and maintained by a single supranational authority.” Thus opens Yoram Hazony’s The Virtue of Nationalism. In an age when nationalism is slandered as xenophobia (at best) or neo-Nazism (at worst), Hazony’s book is a courageous emendation of the revisionist narrative that labels any iteration of nationalism as backward, tribal, and a slippery slope returning us to 1930s and 1940s Europe. This political debate pits the particular, pluralist, and nationalist vision against the universal, homogenizing, and “international” dream of imperialism and empire. Conservatism celebrates boundaries; universalism, which is embedded in liberalism, knows no boundaries. As such, Hazony does a good job in correctly identifying imperialism as a foundation of the liberal, Enlightenment dream that envisions the world under a rational order. Such a supranational order abolishes traditions and particular identities in its wild dream of bringing world peace. Against this vision, conservatism has long defended a pluralist and nationalist tradition in international politics. Furthermore, difference is the enemy to liberalism because difference leads to the possibility of conflict, and conflict is bad and must be avoided. The conclusion from this anti-pluralist view of the world is simple: Difference must be transcended to ensure peace. In other words, difference must be destroyed and all must be made the same—thus the Enlightenment coincides with not only a renewed imperialism but a reductionism which screens universalist ambitions. Hazony’s tour-de-force through the history of political order stretches thousands of years, moving from the imperial powers of the ancient Near East to the present crisis of political order, which is nothing more than the same dialectic visible in the Hebrew Bible in Israel defending itself from neighboring powers but also being told by God not to transgress onto the lands given to other nations. And it is here that Hazony makes his boldest, but most important, claim. Because the Western tradition has the Hebrew Bible (the Christian “Old Testament”) at its heart, the political philosophy of the West (after the rise of Christianity) has long experience with this dynamic between the order of free and independent nations and a single regime of supranational authority. Other places around the world have not been so blessed with this dynamic—one might look to the Islamic World despite a “shared” religious heritage—precisely because the Old Testament does not factor as prominently in the Islamic tradition as it does in the Western tradition. This is not a scandalous or shocking claim to people who are educated in the history of political philosophy and thought. 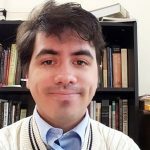 Eric Nelson’s award-winning book The Hebrew Republic examined the “Century of the Bible” in European political thought and noted how arguments for the nation-state regularly made recourse to Hebrew Scripture. Eran Shalev and Mark Noll, among many others, have also written important contributions regarding the role of the Bible (and especially the Hebrew Bible) in the formation of American political thought and identity—something that Hazony also doesn’t fail to point out. The product of the national order in the West is what Hazony considers to be the product of the “Protestant construction” which stood against the universalism of the Catholic imperium. Notwithstanding the fact that Catholicism historically promoted a vigorous homeland nationalism and patriotism—still codified today in the church’s extrapolation of the commandment to honor one’s parents which extends to the nation—Protestant readings of the Hebrew Bible saw a God who did not work through an ecclesiastic institution (as Catholics claimed) but through nations. Protestant nationalism was not (usually) an attempt to build a literal kingdom for Christ but concerned itself with good and loyal citizenship. The liberal order seeks to make this vision a reality in the form of political unionism (such as the European Union) or through the elaborate international system where international law triumphs over national law. Some may see this as a good thing. Others will readily point out, as Hazony does, that there is an irony in the liberal claim of toleration which actually leads to forms of intolerance. Perhaps controversial for those who take their marching orders from the liberal media, Hazony goes to great and convincing lengths to show why Nazism was not, properly speaking, nationalist but a form of universalist imperialism with a nihilistic streak. The biological universalism of Nazism is fundamentally incompatible with any pluralist nationalist worldview. Moreover, the nationalist political order does not delight in the cult of violence and the transformative power of violence as fascism does. While nationalism has had violent episodes, it is not the inherently violent force that its contemporary critics paint it as. Hazony’s work is a defense of actual pluralism—that is, real difference—which is in short order today despite all of the talk of “diversity” and “pluralism,” which too often mask a desire for assimilationist homogenization. The safeguard of pluralism is nothing short of the nationalist order, as Hazony makes clear throughout his work. This political idea is rooted in a richer understanding of the human being, not as an atomized individual as the classical liberal philosophers envisioned, but as a person rooted in community, heritage, history, and tradition. Are we born to particular people in a particular place with a particular history? Or are we born to ourselves independent of all ties? Additionally, Hazony’s work defends the value of limits. The nation has very fixed and defined boundaries and does not transgress those boundaries (when it does, it crosses the border from nationhood to imperialism). Nationalism returns us to a world of nation-states, which is the “order of free and independent nations, each pursuing the political good in accordance with its own traditions and understanding.” Hazony’s work is not only conservative, it is moral; it shows how boundaries can lead to moral living whereas a lack of boundaries erodes morality—limits demand restraint, openness does not. The nation also gives one a place to call home, a place to care for, a place to build up and pass on to future generations—the nation calls for, and demands, the best in humans. Too often universalism, in the form of imperialism, brings out the worst in humans. Imperialism can disguise itself as something benevolent and “progressive” but in trying to assimilate all to its order, it casts a blight on local places and communities. If the Hebrew Bible is the narrative that hands down the idea of particularist order, as Hazony asserts, then the atrophy of the biblical consciousness dooms the West to a slow march to universalism. If this happens the West will itself disappear because the West is something distinctive and particular rather than universal. At the heart of Hazony’s work is that the “West” as it is known to us is the product of a nationalist order and that it is threatened by the new universal order which will brush particular customs and traditions into the dustbin of history. The current political dynamic is not new at all. It is deeply ancient. One might go so far as to say that it is also deeply biblical. Paul, thank you for the review. I recently heard about the book recently, and was hoping a Porcher would address it. How compatible is nationalism with localism, especially in a large, diverse country like the US? I can see how a worldview that celebrates boundaries, difference, and limits would be supportive of localism, and one can certainly be nationalist and localist. However, I feel that in contemporary America, the national tends to drown out the local (in political, financial, and cultural sense). In short, should Porchers also be nationalists? I’m glad you found the review helpful; concerning your question I believe you are right to be suspicious about nationalism blotting out localism in domestic matters. It is important to remember what Yoram Hazony’s book is and isn’t. 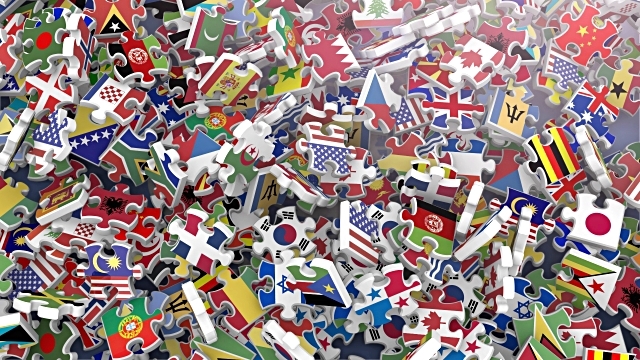 Since it concerns itself with international order (and not with internal/domestic matters), where the political dynamic is between the nation and supranational/universal entities, localists should side with the nation. As for domestic concerns localists should remain regionalists and anti-federalists as you feel (and that goes not just for America but any nation). In some circumstances I would agree that “Porchers” should be nationalists whenever national sovereignty and integrity is threatened by an international or supranational entity. After all, one’s local and regional concerns would be wiped out if surrendering to the likes of the EU or other supranational and universal orders. The notion of the Hobbesian State emerged as the dynasties which had emerged from the rubble of the Medieval Order sought allies among the bourgeoisie, allies against what was left of the three estates, at the end of the Thirty Years War which was perhaps more about dynastic aspirations than it was about confessional differences. The concepts of “state” and “sovereignty” as we use them today were first formalized in the Treaty of Westphalia. The abstraction of “the state” and of “nationalism” became the anchors of the dynasties and their bourgeois allies over against the “imperium” of the Middle Ages which was not a tyrannical, centralized state such as the Soviet Union, Nazi Germany or even what is called the United States today. That medieval imperium was rather a confederation held together, not so much by power, but by authority, an authority rooted in the metaphysics of a common Christian tradition and Church, be she ever so imperfect. The Hobbesian state is an abstract corporation with a monopoly on coercion, with the ability to define the limits of its own power, and with power flowing from a determined will, be that will one of a dictator, an oligarchy, a bureaucracy, or even that of a “democratic” majority. The very nature of the Hobbesian state places that state, in whatever form it might take, withershins the subsidiarity and the metaphysics of the medieval imperium. Thus, nationalism is in fact the first effective manifestation of the Hobbesian state, using the catalyst of nationalism as one of the means of solidifying its power. In the middle of the 19th century, with war as its chief instrument, the Hobbesian state, in the guise of the “national” state was solidifying power: in Germany with Bismark, in Italy with Garibaldi, and in the United States with Lincoln. Bismark set Germany on a course for Hitler; Garibaldi set Italy on a course for Mussolini; and Lincoln set the United States on a course for Roosevelt and beyond. The Hobbesian state – let use the appropriate metaphor of the snake – outgrew its nationalist skin. It has now shed it for its new globalist skin. My friends like Pat Buchanan, a nationalist of the old order, bewail what the globalist Hobbesian state is doing to his “national state,” not realizing or not willing to admit that the national state which he defends was itself a stalking horse for the Hobbesian state which no longer needs its “nationalist” abstraction. One could argue that if medieval subsidiarity was overthrown by nationalism which itself has been or is being overthrown by Hobbesian globalism, then the way back must be a “retrograde” back through nationalism to something simpler and more humane. 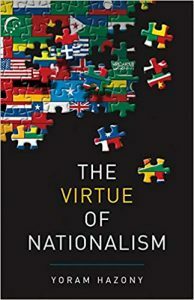 There is no guarantee that there is a way back; nationalism reestablished might not easily yield to that order which nationalism was used to destroy.